The first images of the Geeksphone Revolution, a smartphone that lets you seamlessly switch between Android and Firefox OS, have appeared online. Spotted by MobileGeeks, the handset has a similar design to the Keon and Peak – two Firefox OS developer devices that Geeksphone released last year. The Spanish startup’s logo can be seen clearly above the screen, as well as a clear circle and two spot buttons positioned at the bottom. Geeksphone has confirmed to TNW that the photographs are authentic. The device, teased in November last year, has a 4.7-inch IPS qHD display and runs on a 1.6GHz Intel Atom Z2560 dual-core processor. 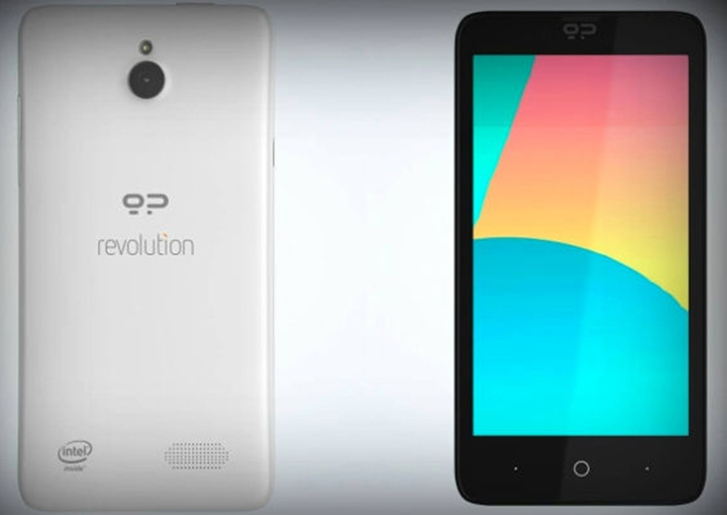 Geeksphone will use the Revolution to replace all pre-orders for the Peak+, its latest Firefox OS handset, following supply chain problems in Asia. It’s an intriguing proposition; a high-end smartphone that can run both Google and Mozilla’s mobile operating system should be compelling for developers, modders and gadget enthusiasts alike.